Here at Evolve, we have helped countless people become successful real estate investors. When it comes to buying rental property and knowing how to invest in real estate, we are the experts in the Denver area. We know how to acquire successful rental properties and rent them out quickly. Today, we’re sharing a few tips and tricks. One thing that can kill the cash flow on your Denver property is vacancy. We try to tell our clients to find a property that already has tenants in place. Or, you can try to line up your closing date between March and July. That’s the prime time for renting. You’ll get the top rent and the best pool of tenants. We have been successful with asking the seller to allow us to do showings to potential tenants while under contract. Try to get it rented on their dime, not yours. Once you have settled on the inspection and you’re three or four weeks away from closing, you should be able to start showing the property. With this strategy, you may have someone ready to move into your income property on the day right after closing. Try to recoup your costs as soon as possible. Buying a rent-ready property can help. With a fixer upper, you have to calculate everything. If it takes 30 to 60 days to fix the property and start the showing process, you’ll have to wait another month or two to find a tenant. Figure out if that’s worth it, or if it would be better to buy a rent-ready home. 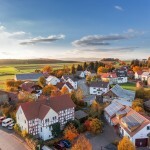 As with all real estate transactions, location plays an important role when you’re looking for an investment property. A great location will attract the best tenants and make up for other shortfalls. If you want to find an income property in the best location that appreciates the most, we can help you. Contact us at Evolve Real Estate & Property Management for any questions about real estate investing or Denver property management.